Action Window Cleaning Ltd - Cleaning Services based in Bishopstoke, Hampshire. 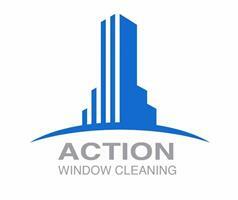 My name is Neil Marshall and I formed Action Window Cleaning in 2012. I have been cleaning windows for over 20 years and I previously owned High Wash which I sold in 2011. Action Window Cleaning uses the latest in cleaning equipment. We use the lightest window cleaning poles available. Gutter cleaning is carried out using a high powered gutter clearing vacuum. Softwashing, Jet washing is also in our portfolio of work. If your patio or gutters need a clean then we are the company for you. We cover all of Southampton, New Forest, Eastleigh, Locksheath.